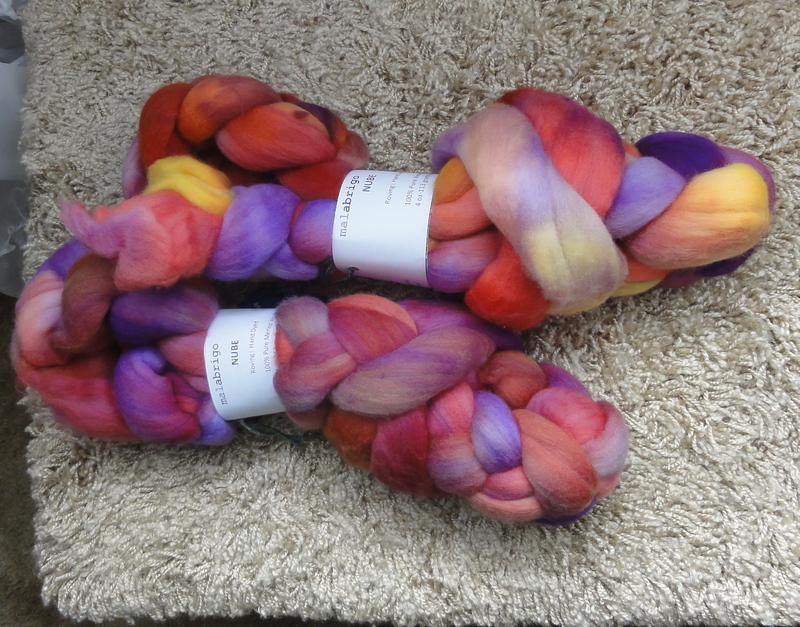 Last year, I purchased two 4-ounce braids of Malabrigo Nube Merino roving in the Archangel colorway, with the intention of playing around with it. 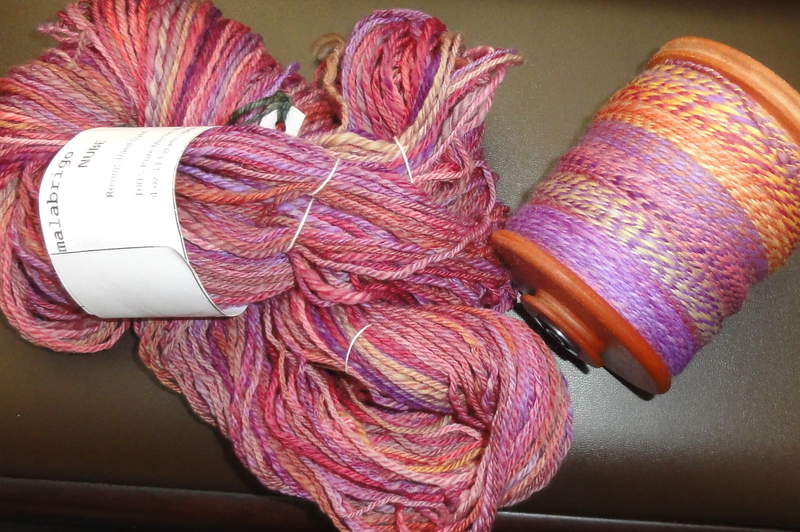 I took one braid, spun it end to end, the first half on one bobbin, the second half on another bobbin, then plied the two singles together. 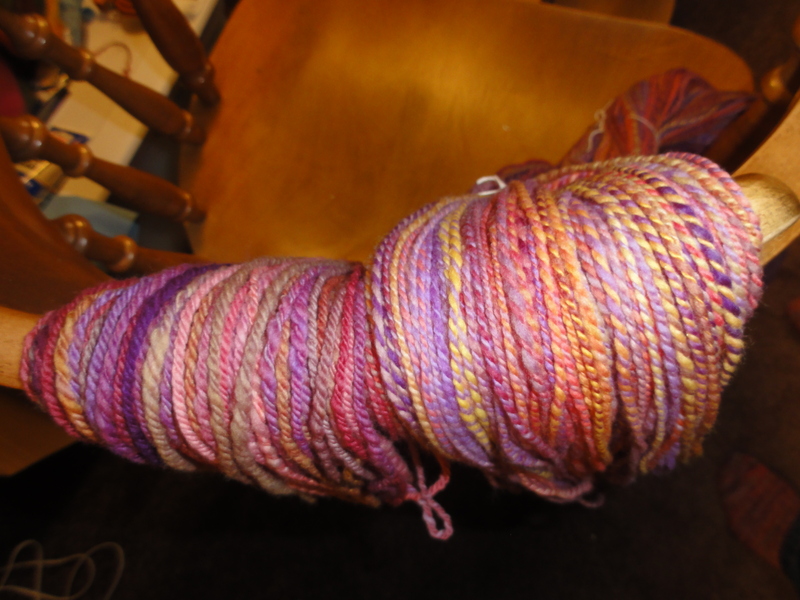 The other braid I spun end to end on one bobbin, then I chain plied the singles. 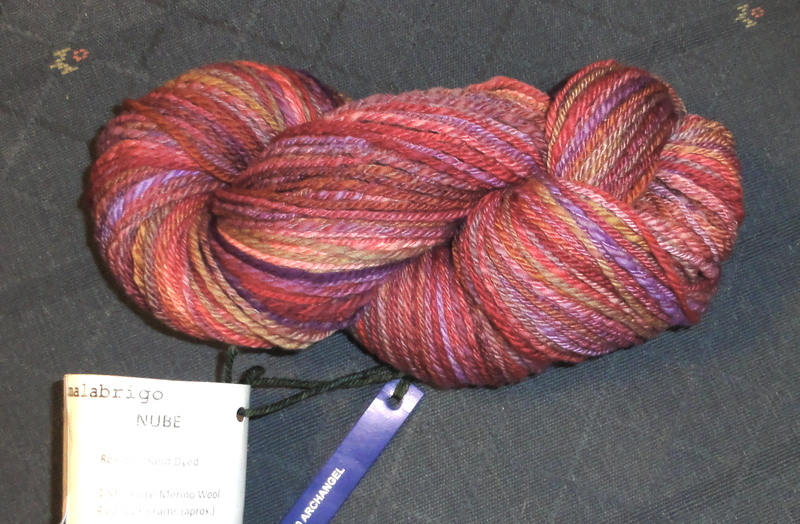 Two braids of Malabrigo Nube in Archangel, as soft as it looks. 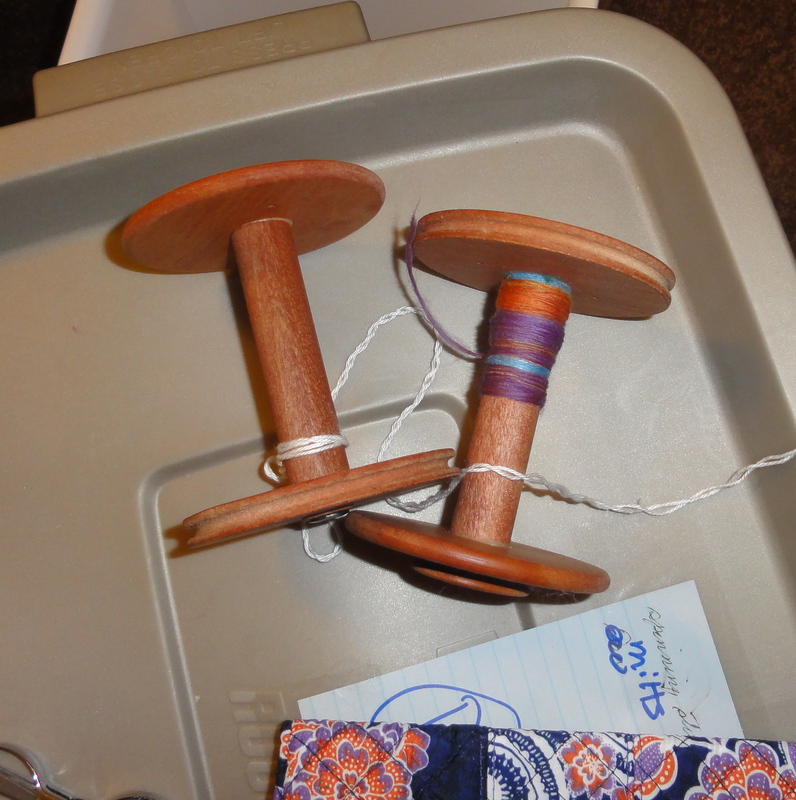 What are the chances that the singles would be so evenly divided between the two bobbins? 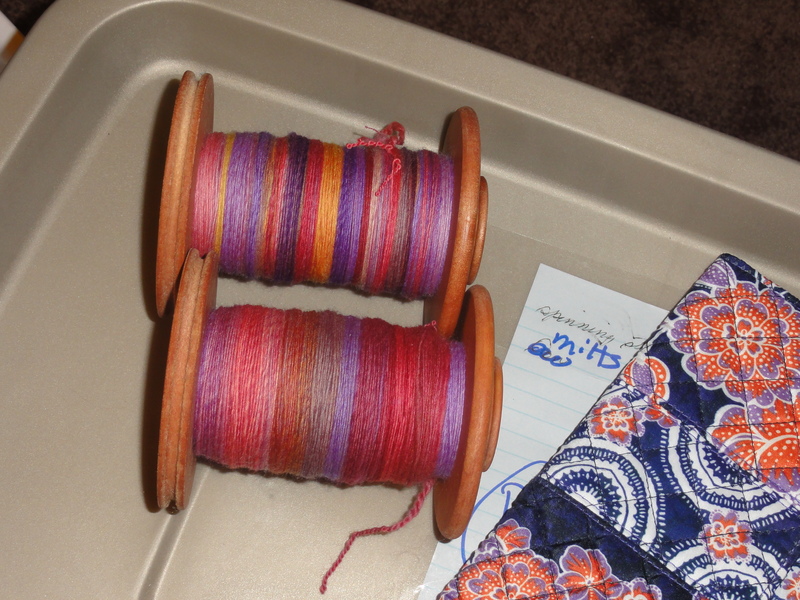 The bobbin on the top is the chain-plied braid. 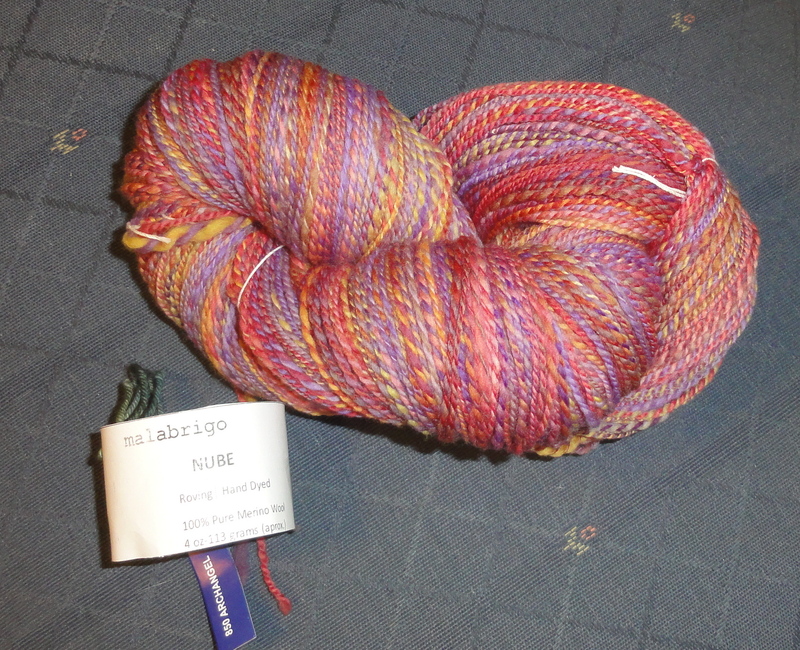 This entry was posted in Spinning and tagged 2-ply handspun yarn, chain-plied handspun yarn, Malabrigo Nube roving. Bookmark the permalink. Oh, those are beautiful! 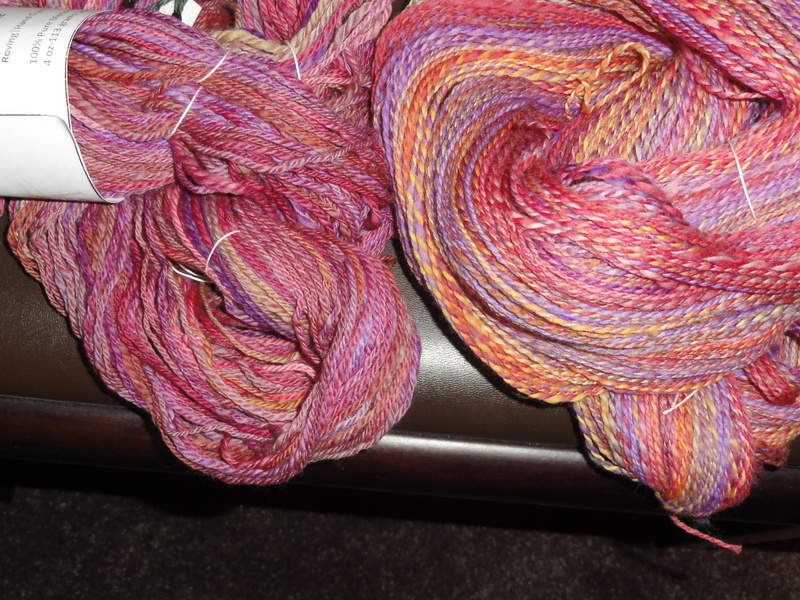 I think I’d pick the two-ply first, but hey, I’d be happy to take either. Nice work! Thank you. 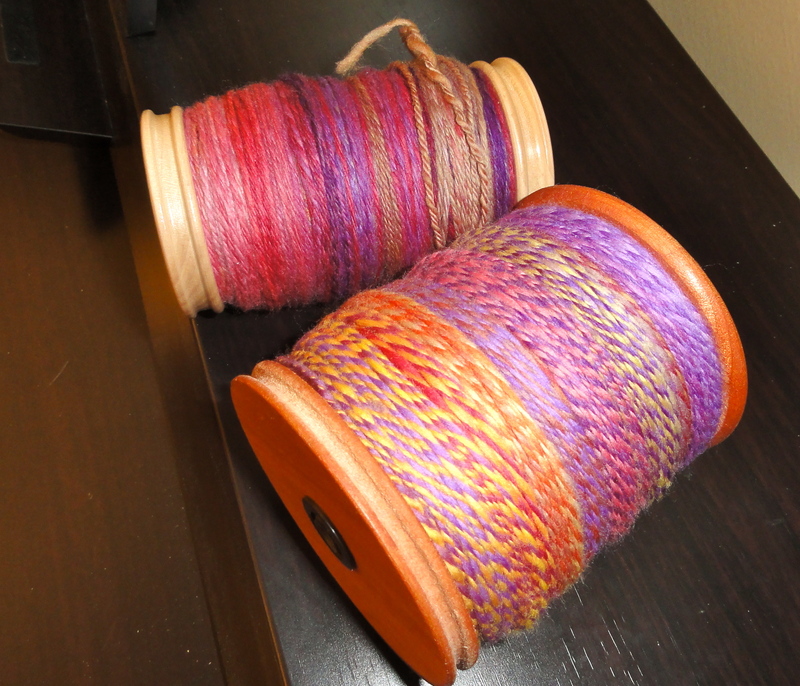 I’m rather partial to the 2-ply myself, but I like barber-pole yarn a lot.